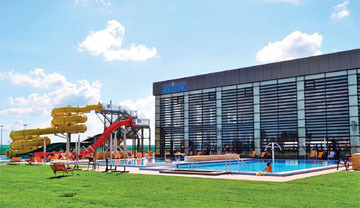 One of the most modern Aquaparks in Romania (opened 2013). It has eight pools, totaling an area of over 1.600 sqm. of water surface.